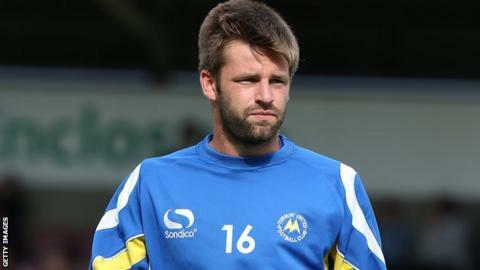 Torquay United manager Chris Hargreaves is to open talks with left-back Tom Cruise about his future at Plainmoor. But the 23-year-old was left out of the side on Monday in favour of highly-rated 17-year-old Levi Ives. "That's a discussion I've got to have with Tom over the next few days," Hargreaves told BBC Sport when asked if he would be offering Cruise a deal. Cruise has played every minute of Torquay's first four games in the Conference this season, with the Gulls keeping clean sheets in the final three matches in which Cruise was involved in. "We need competition, I've stated before that I want younger players to come through," Hargreaves said. "Two players in every position is what we're after and all the players understand that there's going to be competition no matter what age you are." The Gulls are hoping to offer Ives, who is currently a second-year player at the club's academy, his first professional deal in the next few weeks. "We're just in the process of getting the offer to him and that's something that will be done soon," continued Hargreaves. "Levi's someone we rate really highly, I think he had a really good debut, he learnt a lot and he's got a bright future."